World Wars and the Korean War. 42nd "Rainbow" Division of the Allied Expeditionary Force in France. 4 stars and named the U.S. Army's Chief of Staff. Field Marshall of the Phillipine Army. 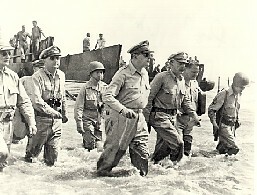 In 1941 MacArthur was recalled to active duty as the U.S.
prepared to enter World War Two. In 1942 he was, like his father before him, awarded the Medal of Honor. 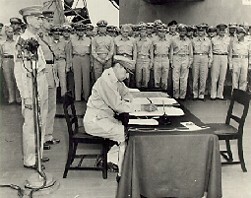 In January of 1945, MacArthur was promoted to the rank of five star General. 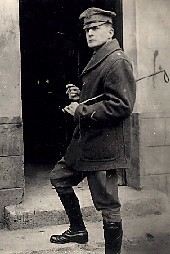 MacArthur was appointed the Supreme United Nations commander. MacArthur, always brash, had publically disagreed with the politicians. tribute to the ideals that inspired that great American soldier. and honorably as he did, General MacArthur's words will live on. have loved so well, it fills me with an emotion I cannot express. of those who guard this beloved land of culture and ancient descent. dictate what you ought to be, what you can be, what you will be. to create hope when hope becomes forlorn. the extent of mockery and ridicule. But these are some of the things they do. They build your basic character. and brave enough to face yourself when you are afraid. of an appetite for adventure over love of ease. hope of what next, and joy and inspiration of life. They teach you in this way to be an officer and a gentleman. And what sort of soldiers are those you are to lead? Are they capable of victory? Their story is known to all of you. It is the story of the American man-at-arms. ago, and has never changed. but also as one of the most stainless. His name and fame are the birthright of every American citizen. He needs no eulogy from me; or from any other man. of admiration I cannot put into words. in the principles of liberty and freedom. carved his statue in the hearts of his people. and on their lips the hope that we would go on to victory. and tears, as we sought the way and the light and the truth. the horror of stricken areas of war. the things that are wrong. You now face a new world, a world of change. a beginning of another epoch in the long story of mankind. human race, there has never been a more abrupt or staggering evolution. distances and as yet unfathomed mysteries of the universe. We are reaching out for a new and boundless frontier. and fantasies as to make life the most exciting of all times. It is to win our wars. ones who are trained to fight. conflict, as its gladiator in the arena of battle. hallowed traditions of liberty and freedom, of right and justice. whether our personal liberties are as thorough and complete as they should be. hands the moment the war tocsin sounds. The long, gray line has never failed us. This does not mean that you are warmongers. for he must suffer and bear the deepest wounds and scars of war. The shadows are lengthening for me. My days of old have vanished, tone and tint. They have gone glimmering through the dreams of things that were. and coaxed and caressed by the smiles of yesterday. 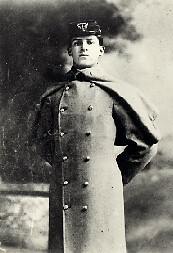 blowing reveille, of far drums beating the long roll. the strange, mournful mutter of the battlefield. But in the evening of my memory always I come back to West Point. Duty, Honor, Country. Today marks my final roll call with you. thoughts will be of the corps, and the corps, and the corps. "Al Varelas's USMC Web Site"